Arguably the most important accessory to a table saw is the rip fence. Which is why I decided to take care of this project early in my list of table saw workstation upgrades. 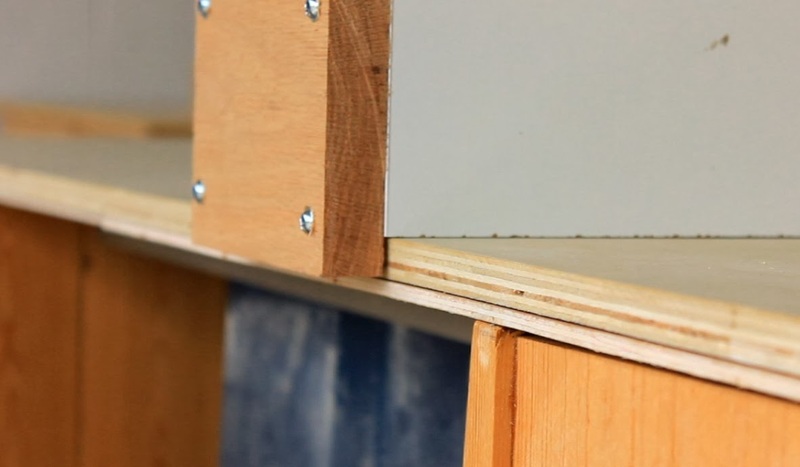 You can check out the first part in the DIY Table Saw Workstation Part 1- A New Beginning post. As I was researching ideas for a DIY homemade table saw rip fence I saw a lot of different shapes and sizes. Some were of the utilitarian design. Some where so snazzy and decked out that not only could they help rip cut, but also refill your empty cup of joe and ask if you wanted cream and sugar. Now I know some woodworkers live and die by the shop project. They have shop furniture that looks better than my antique furniture pieces sitting in my living room. Don't get me wrong, their is nothing wrong with that, however I am more of the, "is it functional" kind of guy. I don't do a lot of sanding, shaping, and rounding over for my shop projects. I cut, glue, tack, screw and call it done. Now if I am making a bedside table for the kids, then I better have a fresh stack of sandpaper on hand because I know I'll be using it. When I was going through AIT (Advanced Individual Training) in the army, I had a drill sargent that said to me, "Private, know when to do what." He was referring to knowing when it was necessary to pay closer attention to detail and when you could afford to loosen the reins. Incidentally, I had to write, "I will not leave unsecured valuables in the laundry room. ", 3000 times because I obviously did not know when to do what. You bet your cramped fingers I knew it after that, but I digress. My point is when it comes to shop projects I simply do not spend a lot of time making them pretty. I do not see a need for it. What I do see a need for is for it to be sturdy. Also if a part becomes damaged, I want to be able to replace it without having to scrap the hole thing. Any part of this DIY rip fence can be replaced yet it is strong and sturdy. When I am dealing with slightly more complex projects I like to break them down into smaller componets and deal with those individual componets one at a time. I knew I needed the basic carcass. I decided 3 pieces of melamine ripped to 3 1/2" wide strips and joined from below with pocket hole screws would be a good place to start. Why melamine? Well, it is more resistant to warping and it provides a nice smooth slick surface for project pieces to slide against. I thought about making the top of the workstation out of it as well, but I was concerned about the weight. Melamine is resistant to warping but is very heavy. Since the workstation is mobile and when fully loaded with tools can be quite a piece to move, I shyed away from using it. One of the issues I saw a lot of DIY rip fence designs had was that they would wander or otherwise flex on the out feed side. They would lock down ok on the front side, but with no support on the back the locking mechanism had a hard time holding the fence in place. I saw a few designs that tried to compensate for this by adding T style tracks, angle irons, or widening a triangle base for the fence. In the end, I decided to be simple and just add an over hanging piece of hardwood to the back of the rip fence. This, along with the front mechanism allows the fence to clamp to the table top holding it in place. The front piece is by far the most complicated part of this. So I actually spent a fair amount of time in the video explaining how it is assembled. Essentially the rip fence acts as a clamp. 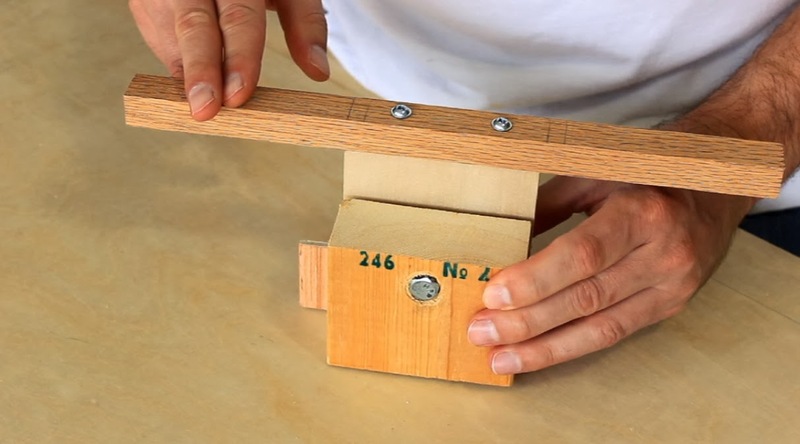 Turning the clamping knob tightens the fence to the table locking it in place. The fence does need to be aligned obviously, but I have a jig for that. Yes, their is a jig for everything. I will share that in an upcoming video and blog post. I loved the simplicity of your rip fence design and lucid construction details in video and narration in your blog. Mine also a AEG CS-66 circular saw (this has got a riving knife) converted to table saw,like Mr. Mcclanahan. My table saw top is fixed as a fold-down side wing with a heavy duty wall bracket of 250 lb capacity, on my heavy workbench of 4x4s with 1 1/2" table top. Thanks for sharing Mr. Sullivan. I replicated to the last detail to your rip fence. 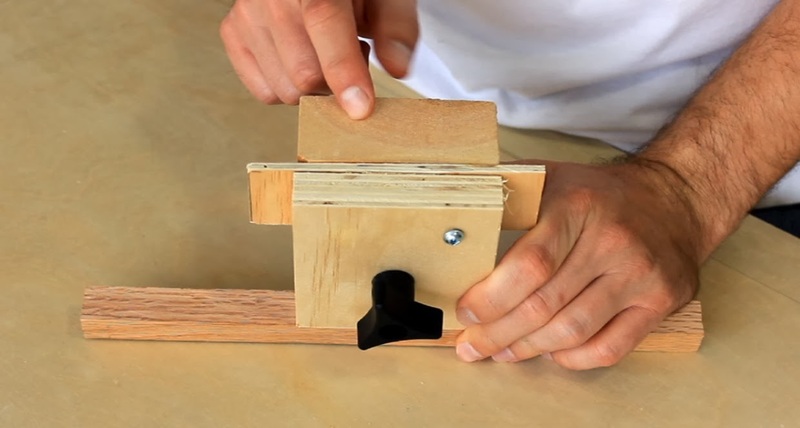 I liked your simple design so much, I just replicated to build a rip fence for my homemade table saw using a AEG circular saw which has a riving knife. 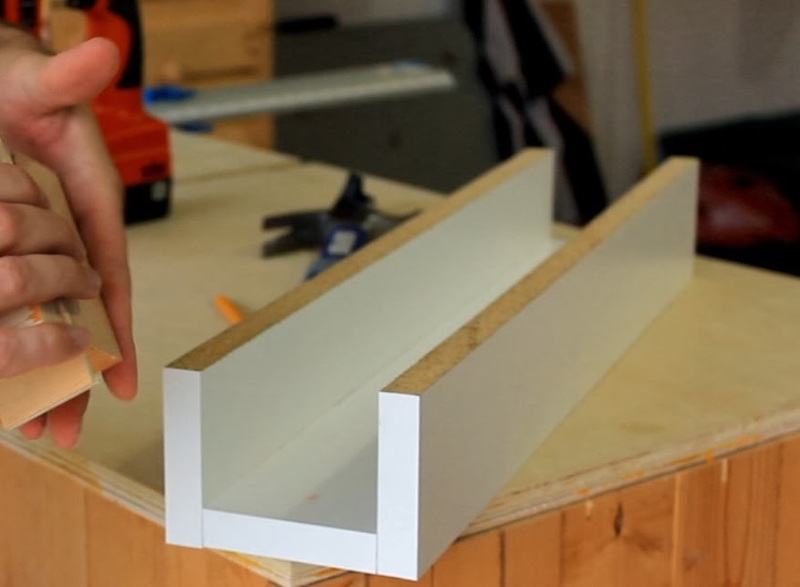 I build my rip fence, exactly like yours, using 3/4" melamine and other features like rear stabilising and front knob for locking and i love it as i can use it on either side of my table saw blade. Grateful thanks for sharing your build details. I wish to share a picture of my rip fence, but i dont know, how to attach the picture to this blog.